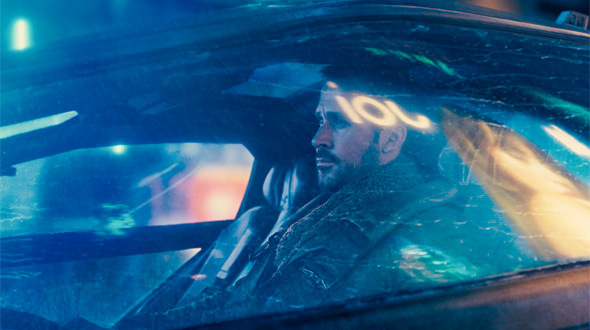 In Blade Runner 2049, Officer K operates for much of the movie's runtime thinking he is "the Chosen One", a rare replicant who has been chosen for some reason to exist on a higher level than most replicants. He also thinks he might be the replicant who was "born" from another replicant, something that was thought to be impossible from the original film. In The Last Jedi, the audience thinks Rey's lineage is important to the overall saga. After seven installments featuring the Skywalker family front and center, it is reasonable to presume that Rey plays an important role in that story. However, as she surmises with the help of Kylo Ren (played by Adam Driver), Rey doesn't "belong in this story" at all… but she proves that lineage does not determine worth. She's not actually related to the Skywalker or Solo family after all. It is a crushing blow to both fan expectations and everything leading up to that moment. However, it also strengthens Rey's character, giving her a similar purpose that it did to K in Blade Runner 2049. It is in this way both films are connected via an important thread. Officer K learns that he is not a special – but is special – all at once. He is not a replicant born from another replicant, but even without that he still feels. He still sacrifices himself at the end of the story not out of perfunctory obligation, but out of a desire to be something rather than nothing. That's a strong theme, and it stands out in both of these sci-fi movies. The Last Jedi and Blade Runner 2049 are not eager to perpetuate what came before. As Kylo Ren says, "let the past die. Kill it, if you have to." That is an important line that can be applied to both films. 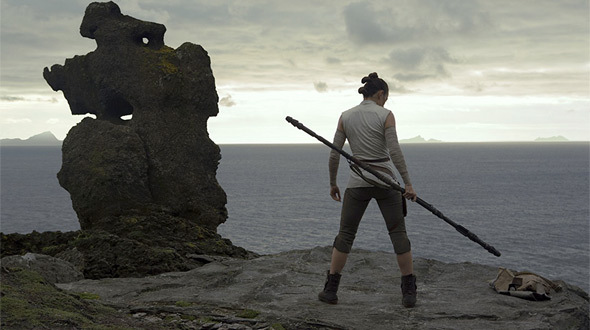 The Last Jedi thoroughly tosses away much of the franchise's history in favor of forging a new path for the series. Blade Runner 2049 builds upon the foundation of the original but does something much different. 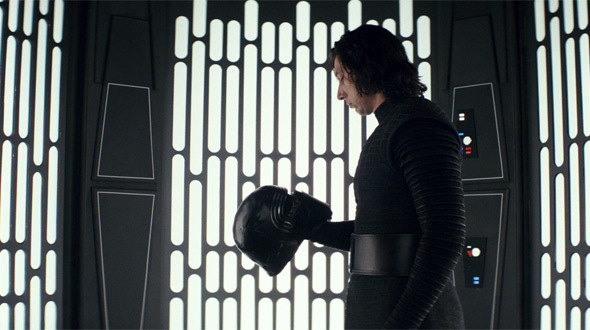 In The Last Jedi, Luke Skywalker attempts to teach Rey that there is a balance to the Force. You need both the light and the dark in order to obtain that balance. He also dismisses the Jedi religion as flawed. Yes, the Jedi were arrogant, and it was their arrogance that contributed to their downfall. However, failure is an important part of growing, and it is as Master Yoda tells Luke the most important lesson of all. "We are what they grow beyond", Yoda tells Luke in the film. The Last Jedi, and to an extent Blade Runner 2049, both grow beyond the thematic strappings of what came before. As I discussed in another editorial a few months ago, if the original Blade Runner was about Deckard trying to understand the humanity of replicants then Blade Runner 2049 was Officer K trying to understand his own humanity. In the same sense with The Last Jedi that Rey is trying to understand her place in "all of this", Officer K is trying to understand his own place in his own story. What makes The Last Jedi and Blade Runner 2049 both so refreshing is how they reject the idea that you have to come from a place or path of royalty in order to be a real hero. You don't have to be "the Chosen One", whether that's the Jesus reincarnate personification of Anakin Skywalker or the idea of a special replicant. You can literally be anyone. It is an empowering message that is both refreshingly original and contemporarily essential. If you look back at decades of science fiction and fantasy storytelling, the idea of the "Chosen One" has popped up numerous times over many different stories. Neo discovers that he is "the Chosen One" in The Matrix, even though he learns he is one but many reprogrammable "Chosen Ones" in The Matrix Reloaded. Jake from Avatar is chosen by the tribal goddess Eywa and is the first human welcomed to the tribe. John Connor is "the Chosen One" to save mankind in the Terminator series. In The NeverEnding Story, Bastian is the "Chosen One" to stop The Nothing. There are countless other examples of this kind of storytelling in both sci-fi and fantasy stories throughout history. Star Wars helped popularize the monomyth in the contemporary era and it feels so poignant and fitting that it is The Last Jedi that deconstructs that mythical storytelling and explodes it for a new generation. The Last Jedi and Blade Runner 2049 will hopefully spearhead more similar stories like these that move away from the Manichean conflict of old. While George Lucas received inspiration from Joseph Campbell's classic monomyth ideals, The Last Jedi and Blade Runner 2049 postulate a future where heroes can come from anywhere. As much as have I loved watching the stories of Luke Skywalker, John Connor, The Golden Child's Chandler Jarrell, and others, I am very excited at the prospect of cheering on characters such as Rey, Finn, Rose Tico, and Officer K. These are characters that don't need to come from royalty or be "the Chosen One" in order to be our heroes. It expands the universe in which these characters function and live in. The possibilities of future Star Wars and Blade Runner stories following "side characters" no longer need to be relegated to animated shorts or subplots. They can now be the heroes of their own stories. While Star Wars: The Last Jedi is performing well with most audiences, I hope Lucasfilm is not deterred by the reaction of a small assortment of angry fans online. In the same way I hope Warner Bros was not deterred by the poor box office performance of Blade Runner 2049. When The Empire Strikes Back came out, it also received a divisive reaction from both critics and fans. Now 37 years later and The Empire Strikes Back is regarded to many as the best Star Wars movie. In a similar sense, the original Blade Runner received a comparably mediocre response from moviegoers and critics when it came out 35 years ago. It is now considered a cult classic. In time, The Last Jedi and Blade Runner 2049 will go down in cinema history as films beloved for taking risks. We need more films to take risks. We need more films to make bold artistic choices. Sometimes we need to kill the past in order to embrace the future. When the new Star Wars sequel trilogy was announced, I was afraid we'd get more of the same. When Disney announced it had purchased Lucasfilm and was going to make more films, I hoped the franchise would grow beyond what it was. I hoped it would do something new, something different, something bold. That is the feeling I have when I watch the original Star Wars and the original Blade Runner. The last scene of The Last Jedi could have been the last scene of the last Star Wars film. It would feel so appropriate. A hopeful, young boy who looks into the stars and sees the Millennium Falcon jump into light speed. The look of hope in his eyes as the future is filled with limitless possibilities is exactly how I felt when I watched Star Wars for the first time. "We are what they grow beyond." To paraphrase a line from the great Jedi Master, "Our stories are what we grow beyond." As we grow, so should our entertainment. So should our stories. Star Wars: The Last Jedi and Blade Runner 2049 are not only just exciting new entries in their respective franchises. They both open the door for limitless possibilities when it comes to how you can tell a story. You don't have to be "the Chosen One" in order to lead a narrative. You can come from anywhere, and be anyone, and that is the most exciting aspect in these movies. They both shattered what came before and pushed new boundaries for what a sci-fi and fantasy story can do. It is emphatically invigorating to have two movies in the same year from two incredibly different but well-known franchises that are this inventive and took as many risks as they did. As Luke Skywalker states, but also encourages: "This is not going to go the way you think." I hope that will be true for many sci-fi and fantasy stories being told in the years to come. Are you happy with the risks that The Last Jedi and Blade Runner 2049 took? Do you agree?